Attire: Collared shirts are required. No tank tops, t-shirts, halter tops, strapless or backless tops allowed. 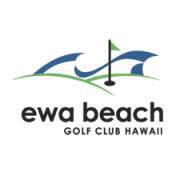 Ewa Beach Golf Club is a links style public golf course located in Ewa Beach, Hawaii. The course originally opened in 1992 and was designed by Robin Nelson, it features paspalum greens and fairways. The course consists of four Par 3's, 10 Par 4's and four Par 5's and plays to a maximum distance of 6660 yards with a course rating of 72.5 and a slope of 134 over 18 holes. Four sets of men's tees and a single set of ladies' tees create an enjoyable test of golf for players of all abilities. Rental services are available including motorized carts and golf clubs. The practice area at the facility includes a full service driving range, practice bunkers and separate chipping/putting greens. Food and beverage options include a restaurant with full service bar. Banquet facilities are also available for hosting special occassions or events.